I have friends who tell me that they love to do nothing. That they enjoy lying in bed all day staring at the ceiling thinking about which Netflix series to watch next. Others post details of their luxurious days spent browsing their book collections or indulging in relaxing hobbies. My reaction is always one of envy. No judgement, just a feeling of – how amazing it must be to be able to switch off and chill like that. You see, I’m a doer. I’m known as “the one who will get stuff done”. I need my “to do” lists, I need to cross them off, and I need to go to bed every day feeling a sense of “achievement” at all the things I’ve managed to get done. Other people are wired differently. They are less about the task and more about the experience, less about the doing and more about the being. Us task oriented types can certainly be immensely productive. Doers tend to be brilliant multi-taskers as well as list makers. But we can also become frustrated without enough “stuff to do” or lists to tick off. Plus, trying to fill every moment of the day with an achievement can be exhausting, both mentally (high standards much?) and physically. 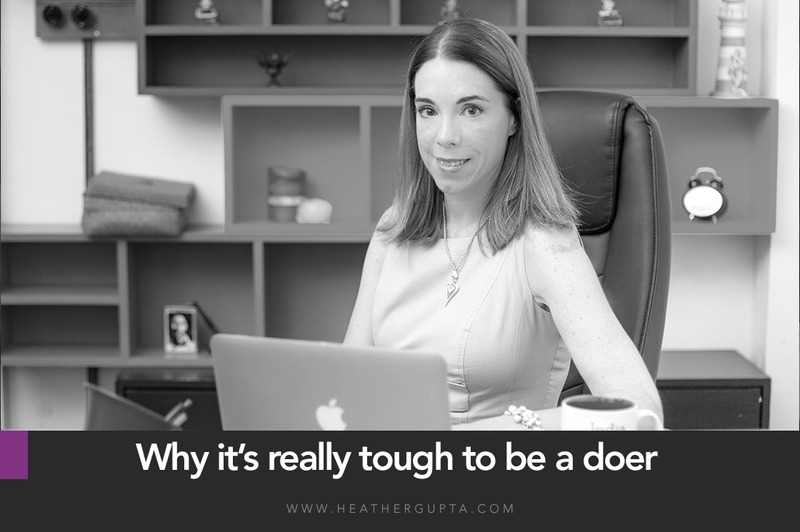 The doer challenge can be particularly acute when we change life roles. When we move from the corporate life to become parents, entrepreneurs or when we retire. When we shift gears to create or manage another kind of existence. Without our lists, carefully created and curated by familiar structures, we can fall apart. Some of us use our lists to bury emotions. If we’ are busy multitasking all day long, we have little time to confront our deeper, emotional issues. We tend to be the ones who hover around the superficial levels, using our “stuff to do” as armour against life’s challenges. But unless we slow down every now and again, and deal with the issues at hand, we’ll end up frazzled and burned out, overwhelmed eventually with the effort of holding everything together. The key is acceptance. I am working on accepting that it’s OK sometimes to relax and enjoy life. I need to stop valuing myself according to the things I’ve done, but rather by the experiences I’ve had and I’m having. This is particularly relevant for me now that I transition from Big Corporate Job to Independent Coach and HR Consultant. I’m learning to go with the flow, in order to find my own flow and it’s an exhilarating experience. If you find that you’re struggling to deal with life under the lists, do reach out. One on one coaching can help make sense of the muddle, and put things into perspective.